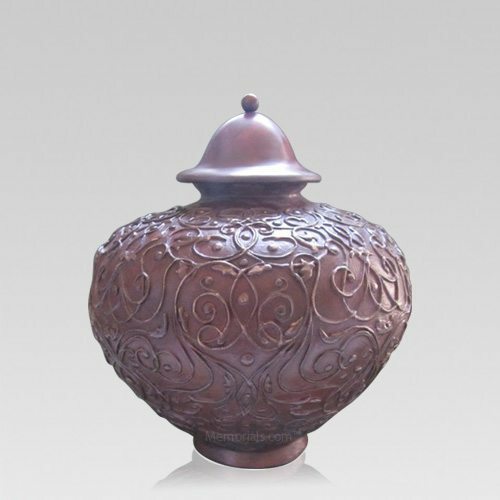 The Lacework Medium Bronze Cremation Urn is cast in solid bronze. This urn features a stunning filigree design that covers the body of the urn, in a beautiful rose finish. This elegant urn is created through the ancient form of 'lost wax' method, to produce a vessel that is nothing short of a masterpiece. The medium size is also ideal for families who are scattering or sharing the remains, and will hold a slightly larger capacity than the small urn. Create an unforgettable tribute to the garden lover with this unique urn.